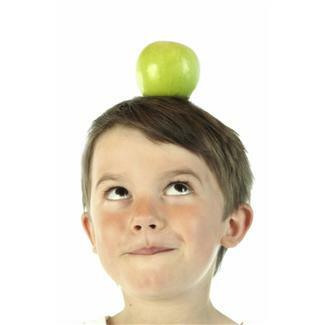 After having a healthy breakfast kids spend their time at the creche or in the school. With all those activities and hard work children need to refill their battery with a healthy lunch. Making healthy packed lunches can save you a significant amount of money. Creating a plan of action can save you a lot of time, as well. Buying in bulk and planning ahead are both to your advantage. Most ingredients can be stored long enough for you to create these masterful works of dietary delight over the weekend, freeing up what little time most families have available during the work week. Our children need to know that we love them and that they are precious to us. There are many ways you can use healthy packed lunches as a means to express that love and affection. Try making their lunch colorful and interesting. Cut foods into different shapes and into small portions e.g. triangles of sandwiches, chunks of cheese, chopped mixed fruit. Try alternatives to bread and rolls with pittas or scones. Encourage your child to have wholemeal varieties. Vary the food from day to day, e.g. meat, fish cheese. A piece of fruit e.g. :banana or diced fruit is a quick snack for little break. A carton of unsweetened fruit juice or a flask of warm soup or hot chocolate are good for drink. Use salads like lettuce, tomato, and cucumber also in sandwiches/rolls to brighten them up and to help ensure your child gets a good balance of nutrients. 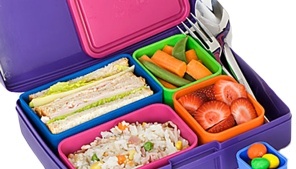 Get your child involved in planning their own lunch as they are then much more likely to eat it. Some schools have a ban on certain foods such as chewing gum or crisps. Ensure that you haven't packed a forbidden food!